George Hartshorn Paving has been plowing commercial parking lots in Putnam, Putnam and Dutchess County NY for many years. 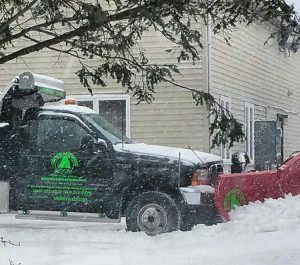 As a company that plows and does commercial parking lots for our customers, we know how valuable it is having a company you can depend on. My snowblower takes up my entire storage room, I finally got rid of it! We know that if there’s more than 3″ of snow on the ground, you guys come! You’re always reliable and here when my customers need to and want to be here. Contact George Hartshorn Paving for a quote for commercial parking lot plowing!